After coming off a solid win against Mid-American Conference foe Eastern Michigan, Ohio is poised to win a third straight game Saturday when it faces Massachusetts on the road. The game against the Minutemen marks the Bobcats’ last non-conference game of the season. Coach Frank Solich held his weekly press conference Monday, and he is focused on picking up a second straight road win. Massachusetts has yet to win a game this season, but it hasn’t been blown out, either. Through five games, the Minutemen have lost by an average of seven points per game. When A.J. Ouellette suffered a season-ending foot injury last year, Ohio’s offense suffered. It couldn’t use Ouellette’s running abilities to open the passing game. This season, though, Ouellette is back, and he has proved why the offense revolves around him. Ouellette rushed for a season-high 145 yards on 26 carries against Eastern Michigan, and he showed his best quality: the ability to lower his pads and burst through any opposing players in his way. On Monday, Ouellette was named the MAC East Offensive Player of the Week for the second straight week. The Bobcats didn’t score an offensive touchdown against the Eagles until the first overtime. Through three games, though, the Eagles are the No. 1 ranked scoring defense in the MAC with 15.7 points allowed per game. For the Bobcats, scoring touchdowns in the red zone was a challenge last season. Not this season. Despite only scoring 13 points in regulation against the Eagles, the Bobcats are the No. 2 ranked scoring offense in the MAC. This season, the Bobcats are also the No. 1 ranked red zone offense in the conference, as they have scored on 17 of 18 chances. 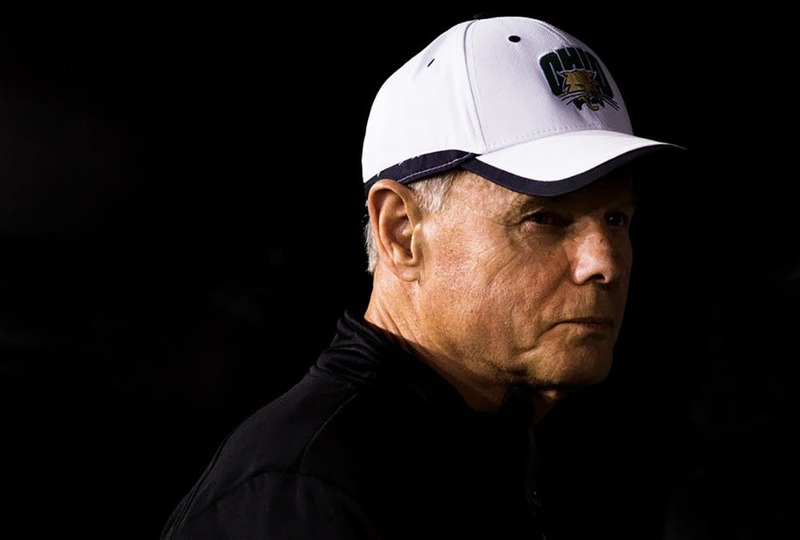 Though the Bobcats took a step back offensively against the Eagles, Solich isn’t concerned. “I feel comfortable where we’re at in terms of our red zone offense and our ability to get into the red zone,” Solich said. — Notable players out this week: Papi White (hand), Sam McKnight, Durrell Wood. — The Bobcats have three players — Trent Smart, Evan Croutch and Cleon Aloese — ranked in the top 10 of the MAC for sacks this season. Smart and Croutch are tied for No. 2 with three sacks, and Aloese is tied for No. 7 with two. — The MAC has four teams that allow under an average of 20 points per game. The Bobcats, ranked No. 5 in scoring defense, have allowed 23.5 points per game.